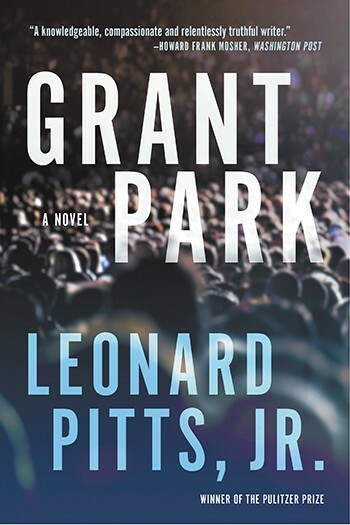 Leonard Pitts, Jr. just released his third novel, Grant Park. 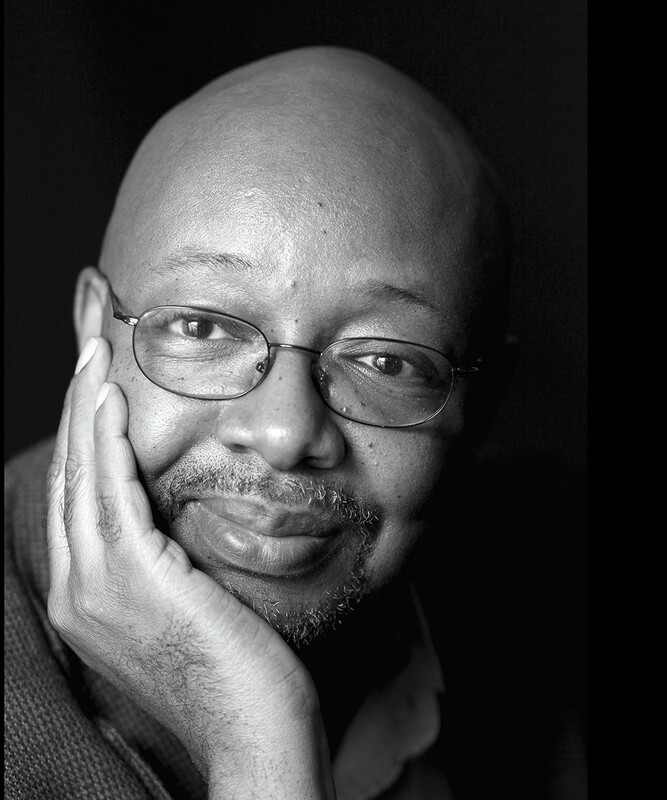 In Grant Park, Pulitzer Prize-winning columnist Leonard Pitts, Jr. has created a vivid exploration of American race relations in a story that bounces between Chicago in 2008, on the eve of Barack Obama's election, and Memphis in 1968, when Martin Luther King, Jr. was leading a fitful campaign for the city's garbage collectors. But it didn't come easy for a man known for his own distinctive writing voice to put words in the mouth of one of his idols. The narrative unfolds through the parallel stories of two Chicago newspapermen, one a decorated black columnist with roots in that era in Memphis, the other his white editor with his own surprising background in the civil rights movement. Unlike Pitts' very public columns, though, this work of fiction, his third published novel, was created in quiet, alone at home. "The thing about writing a novel is that it's very solitary," Pitts says. "If you write a column, you get feedback within a day or two. I wrote a column yesterday, it's going to appear in the paper Sunday, and by Sunday afternoon I'll be getting calls. I'll know what people feel about it. I just finished my latest book this morning, but no one's going to see it for three years." In Grant Park, Pitts' columnist Malcolm Toussaint and his editor Bob Carson are fictional, but their stories take them through real scenes like Obama's election night celebration in Chicago's Grant Park, and the 1968 riots that broke out between the Memphis garbagemen, police and charged-up agitators. "This book doesn't go further back than 1968, and even though I was only a child, I was alive in 1968, so in terms of how people talk and the social mores of the time, I felt pretty confident about that," Pitts says, noting that historical fiction is his favorite genre to read and write. While that might mean considerable research at times, for Grant Park he mostly had to study "the minutiae of Dr. King's campaign in Memphis," which he managed to recreate — strikingly so — using old newspaper accounts, the only two books on the subject he could find, and interviews he did for a newspaper column in 2008 on the 40th anniversary of the tumultuous garbage strike and campaign that occurred just weeks before King was assassinated in the same city. One of the 1968 scenes proved to be a difficult one for Pitts, as the teenage Malcolm finds himself having a private conversation with King. Most of the parts featuring the civil rights leader were public events and speeches, where Pitts could simply find copies of King's words. For the private side of King, though, Pitts tried to find video of "off-duty" King and found it extremely difficult to learn how the man spoke in private. "We have no conception of Dr. King except at a podium, the soaring cadences and rhetoric," Pitts says. "But he wasn't that guy 24 hours a day. I was only able to find a couple of things [where] he was just sort of chatting with people without doing a formal interview, and those were very valuable." Even with those rare clips to work with, Pitts still had to put words in the mouth of one of America's most revered figures for the sake of his own story. That, he says, was "exceedingly daunting." "I've written a lot of historical fiction, but I've never had a historical character play a more significant role," Pitts says. "The first pass I did of that scene, it was really stiff, because everything he said was something I could footnote to a speech or a book or an interview. I was really scared to walk off that path for a little bit, and the result was really didactic. I had to give myself permission to say, 'OK, I've been studying this guy for years. I think I can kind of know how he thinks, and guess what he'd say in a certain situation.' I had to give myself permission and prod myself to make him a human being." He certainly succeeds, while entertaining and educating the reader in the process, but that's nothing new for the man best known for his Miami Herald columns — syndicated nationally and consistently excellent, particularly when it comes to addressing race in America. Even so, Pitts says he's been writing fiction "since I got out of college 150 years ago." It just took the 58-year-old a while to figure out how to write "fiction that somebody would be willing to publish."